For the first time in history, a trail running event of the UTMB® family will be hosted in South America. And it won´t be just anywhere, but in Ushuaia, capital of Tierra del Fuego and the southernmost tip of the Argentinian Patagonia. 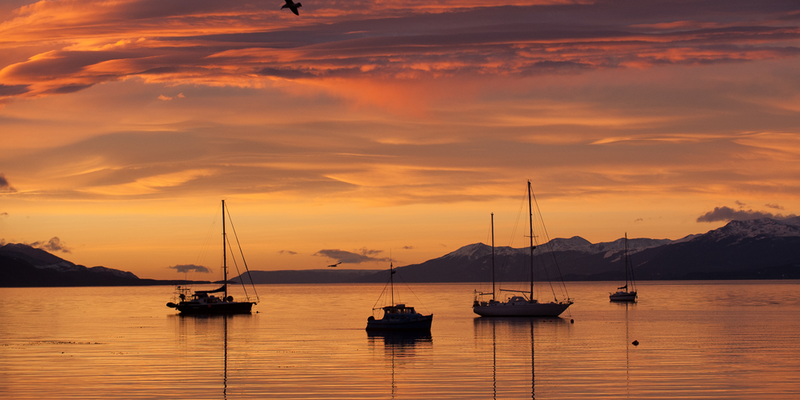 Ushuaia stands for everything a runner can dream of. It`s more than the “End of the World”, the place where mountains plunge into the water of two oceans and mainland disappears. It´s the territory of conquerors, the origin of myths and legends and a fascinating series of mountains, lakes, rivers, lagoons, glaciers, forests and many other landscapes. This is why we have chosen Ushuaia as the scenario for this competition. We believe that, by adding the prestige, experience and high standards that characterize the UTMB® organization, this will be a unique race. We are proud of the path we start today and wish to share, with everyone who loves sport and nature, the spirit that will guide this competition. We hope that we can pass on to you –and to society as a whole– the passion, commitment with the environment and values of justice, friendship and solidarity, that trail running represents, a discipline that never ceases to amaze us. We invite you to register in this exciting first edition of Ushuaia by UTMB®. Our offer is that you participate in a technical race that goes through wild trails and over every kind of ground imaginable, conquering ups and downs and experiencing a climate that may give you a glimpse of the four seasons of the year, in just one day. In this first edition of the event, there will be 4 courses for runners to choose from. All of them will be run individually and on the principal of semi autonomy. Ushuaia is the capital city of Tierra del Fuego Province, located in the Argentinian Patagonia and considered the southernmost in the world. 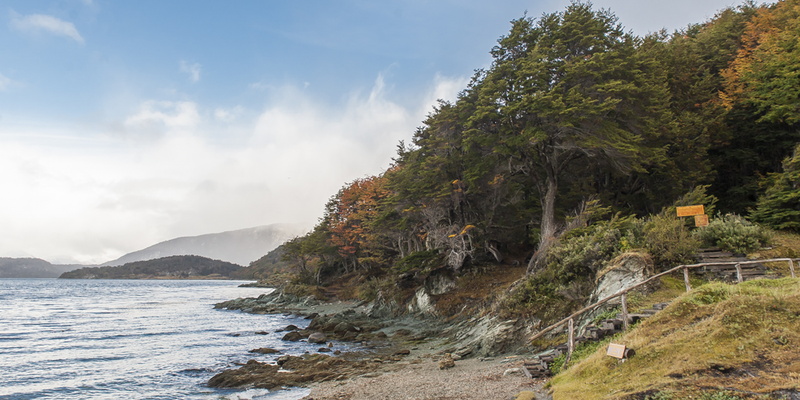 It´s located on the coast of the Beagle Channel (maritime strait that links the Atlantic and Pacific oceans) and at the foot of the Martial mountain chain, in the midst of the Andes Range. By April, fall will have already arrived in Ushuaia and the city will welcome you with less wind than in other seasons, temperatures between 6 and 11Cº (although they may descend by night and especially on the mountains) and red colors everywhere. You will most certainly fall in love with the city. Mountains, valleys, streets that go up and down and small houses with colored rooftops. Ushuaia offers attractions for the whole family, as well as first class accommodations and restaurants. Additionally, it has its own international airport, only 15 minutes away from the town center and a 3 hour flight from Buenos Aires. • The courses are open to any person, male or female, aged 18 or more on April 5th, 2019. 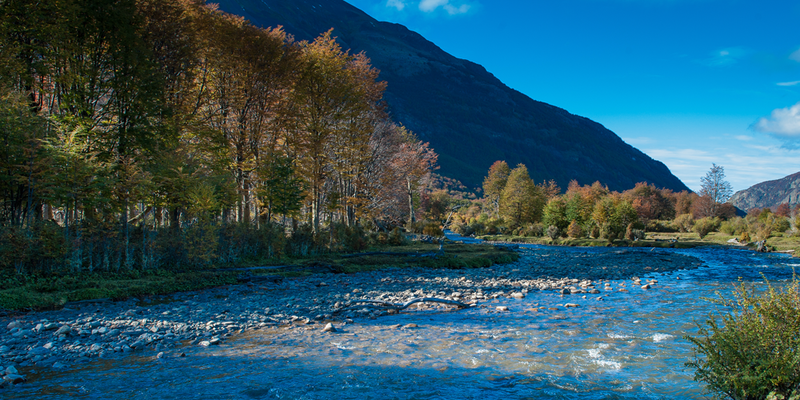 - Residents of Tierra del Fuego will be granted a 30% discount over the current price. - The organisation will certify the country and place of residence of runners that register. - Elite Runners: registration is free for men with more than 800 ITRA Points and for women with more than 700 ITRA Points. Points acquired on the USHUAIA by UTMB® event can be used during 3 years (instead of 2) for a registration to UTMB® Mont-Blanc. Finishers of the FMU distance will gain one year in the UTMB® Mont-Blanc registration process: if they would like to participate in the 2019 edition of the UTMB® Mont-Blanc, they will double their chances in the lottery if registering for the first time; or they will be guaranteed a spot if they were unsuccessful when trying to register for the prior year's edition. We invite you to enjoy the End of The World with us!